Have a big stack of magazines that could be put to better use? Turn ‘em into a stool. This Hockenheimer magazine stool ($160) comes with a wood base, a cushion, and two straps—you provide your own magazines. 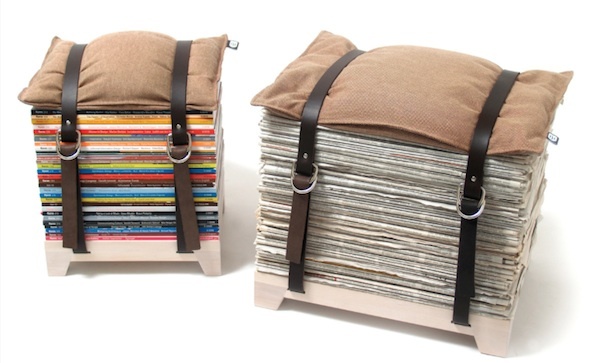 If you’re more of a newspaper kind of guy, they make a Hockenheimer newspaper stool ($170) too.